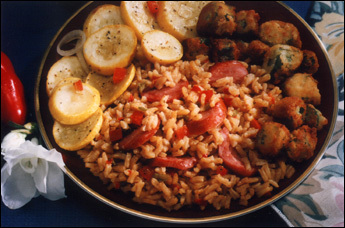 Looking for a specific recipe using rice or wanting to find the perfect and delicious main meal? Water Maid® and River® Rice offers a wide variety of recipes for any meal occasion including appetizers, soups, salads, side dishes, entrees and desserts. You can also find quick and easy recipes as well as recipes for more formal occasions. Browse the various categories to look for the recipe of your choice or use the quick and easy search method for specific recipes or for recipes including specific ingredients. If you still cannot find what you are looking for, contact us and we will help you find what you need.